There are two versions of my book you can buy through the Paypal button below: a signed hard copy which I will mail out to you (plus shipping) and an e-book version which I will email to you upon receipt of payment. 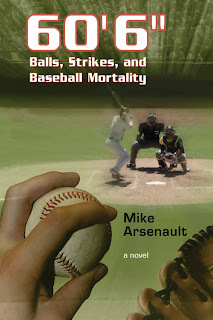 I think “Buy 60'6": Balls, Strikes, and Baseball Mortality” is the best book for all baseball or softball lover. I am searching this type of book. Thanks. There are two variants of my book you can purchase through the Paypal catch beneath: a marked printed copy which I will mail out to you (in addition to delivery) and a digital book rendition which I will email to endless supply of installment. This a great sports related blog . I like this much. There are two renditions of my book you can purchase through the Paypal catch beneath: a marked printed version which I will mail out to you (in addition to delivery) and a digital book form which I will email to endless supply of installment. Very informative and useful. I can choose the suitable bat thanks to your post. Thank you so much! Keep it up!